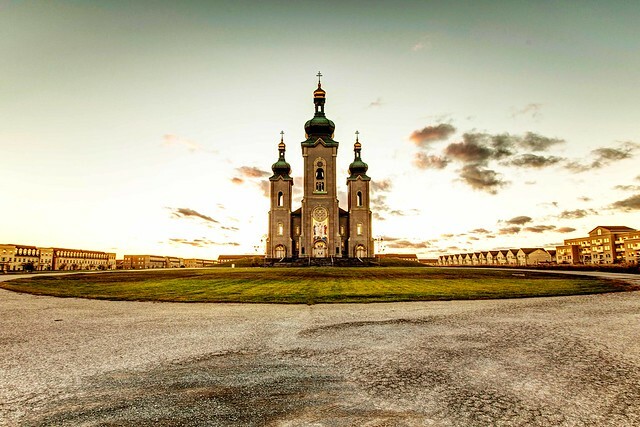 Standing right in the middle of the Cathedraltown in Markham, Ontario, Canada, Cathedral of the Transfiguration is the landmark of the Cathedral community. I have never been to a Cathedral community and this was a great experience for me. As the hotel I stayed in was just situated some kilometers south, it was a short drive before I reached Cathedral of the Transfiguration, finding a place to park my car is a breeze as the neighborhood was quiet and peaceful. From far, Cathedral of the Transfiguration stood right out of the neighborhood prominently, tall and glamorously. With the short drive, I am able to have more accurate calculations of the time I will reach there and I wanted to be there taking long exposure shots just after sunset with the twilight in the sky that makes well balanced exposure. I got there 30 minutes earlier just to survey the area and set up my tripod right in the center, with that I have the cathedral in the center of my composition. As the sun was setting behind the cathedral, I took several test shots before the time is right for my shot and I waited for more scattered clouds to get into my shot to produce a more realistic feel. I took a long exposure with BIG Stopper from LEE filter on 16-35mm f2.8L with 5D II, with a single RAW file, I separated it into 5 different exposures and merged them into a HDR. I was very contented with my result as the cathedral gives out a very warmth feel in the picture as the sun sets and the scattered clouds was just right in the background. During my time there, the vicinity of the cathedral was so quiet that I enjoyed the time spent there as I like the peacefulness while taking in the gorgeous view of the beautiful cathedral standing right in front of me. It took me a while to adjust my compositions and positions to get the frame right with the cathedral in the center of my picture and it was an effort well spent for this image. Please enjoy the image as much as I do. 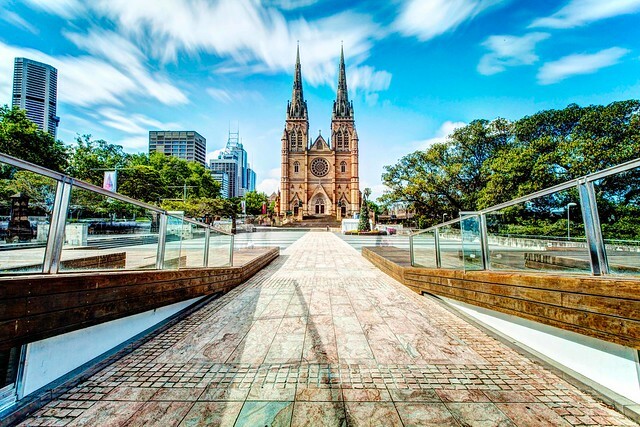 I have been passing by this cathedral for several times and it has never caught my eye until one day, when I was having a coffee(I love the latte in Melbourne), I caught a glance of the back of this cathedral and I thought to myself that the front of this cathedral should be a good photography opportunity. It was in the night and the sky was clear so it made a good evening for a long exposure shot of the front of the cathedral. 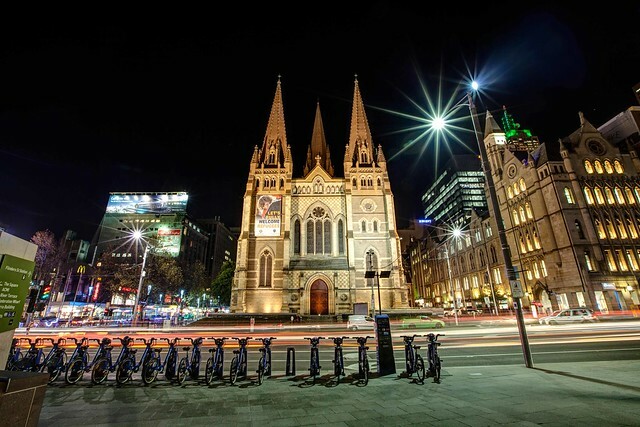 When I walked towards Flinders street and turned my head, I was somehow amazed by how this St. Paul’s Cathedral lighted up beautifully in the night, there were some events going on just directly opposite of the cathedral and that restricted my space of getting a far and straight on shot. I tried getting my first test shot and I knew I nailed it. I got a RAW shot of this cathedral before separating them into 5 different exposures and merging them into HDR using photomatix. I love the result. 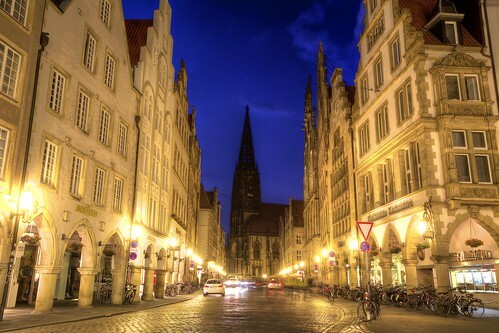 With approximately 300 thousands of population, 60 thousands of which are students in Münster and that is why they see Münster as a city full of youth! Indeed, during my 2 day and 1 night stay there, I found that Münster has more young people than the much older ones around. The pace of life is fast there with bicycles, where there are so many bicycles that you will worry about them running into you, you will definitely find them more dangerous than the cars! Besides being a youthful city, Münster has 80 churches including all chapels so that’s why there was a saying, “In Münster, It’s either raining or bell ringing, if both happens together, it’s Sunday.” It was very interesting to know this fact! For me, the main highlight of Münster is the St. Lamberti, I learnt from a friend of mine that there are three iron cages still hanging high up outside of the church. These are the cages where the baptists, John of Leiden, Bernd Krechting and Bernd Knipperdolling were suspended in after their torture and execution. Their bodies were then left in cages to rot as a deterrent to others, presently, I still can see the iron cages hanging outside. Observing the photo I have shared below, you can see three bright dots against the dark tower of St Lamberti, those are the three cages. I took this picture on a tripod with long exposure on a single RAW file. I then extracted 5 different exposures out and merged them into HDR using photomatix. This was taken in the late night at around 11pm but the sky is in the late transition from day to night so that’s why I still can grab a picture with the sky correctly exposed with long exposure. I like this picture which show me the countless of bicycles with cars moving on the road, this shows how popular the bicycles are in comparison with the cars. I also like how St. Lamberti lies in the darkness behind all the lights giving us spaces for imagination of how the scene would be like when the trio were in the iron cages. In Italy, there are duomos, more duomos and even more duomos. I will never get tired of visiting the duomos during my stay there. They have such fascinating architectures that they brought “WOW” to my mouth while looking at them with my head tilted up most of the time. The huge interior of the Cathedrals always make me feel small whenever I visit one with super tall ceiling. 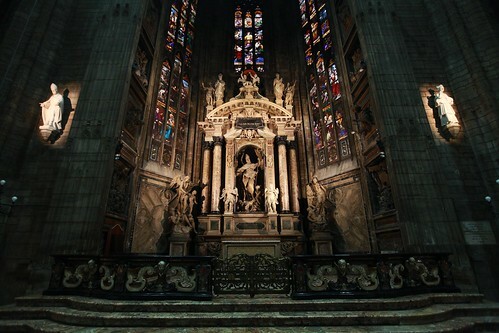 The peacefulness inside the Cathedrals always drove me to silent mode keeping as soft as possible while conversing. I have seen really great big engineering works that were done with the advanced technology but it is definitely my first time personally encountering incredible architectures that were built many years back before I was even born! It was a very cool feeling indeed! The shot shown was done handheld, again, I am not very sure if I can get my tripod into the Cathedral, so to be on the safe side, I left my tripod back in my room once more. It was done with 16-35mm f2.8 L on 5D II with ISO 1000, shutter speed of 1/20s at f2.8. I did increased the contrast for this shot, other than that, I did not do any further touching up by photoshop. Leaving Roma and finally arrived in Florence which is a beautiful city, quiet and peaceful. Checked in a lovely hotel just right next to the main train station of Firenze. Our chose for this hotel is for its splendid location which could help when we are leaving for our next destination, Venezia. Quickly fell in love with Hotel Ambasciatori when I stepped foot into the main door. Had our lunch while waiting for check in to be processed for us. After checked in, luggages unpacked and off we got on the bus up to the hill with great scenic view of the city. We were left with few hours to explore Firenze and we will be traveling by public transport, so I got my whole gears with me in case whenever I need all my lens at the hilltop. The photo shown below was taken by 70-200 f2.8 L on 5D II. We actually waited for the sun to set before leaving the hilltop. 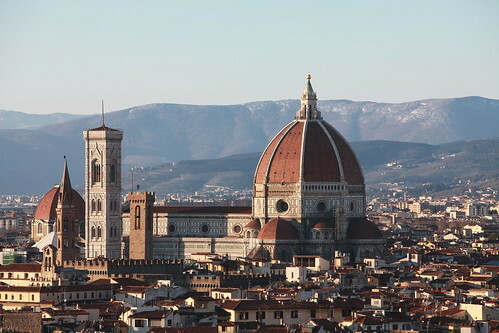 I love this shot with the Firenze Duomo as my main object. It has been a little over half a year since Sunny and Yu Li tied the knot. It has been a very joyous occasion always, to be part of a wedding itself. Few of the times, I would play a more important role than anyone else. That is a photographer for wedding. When I knew that Sunny and Yu Li are having their wedding dinner soon, I volunteered almost immediately to be their back up wedding photographer. As most of the wedding packages in Singapore includes an official photographer, I knew and asked to be a back up instead so as to be given a chance to have some shots taken by myself in their ceremony. Beautiful I would say, especially Sunny and Yu Li are people who I have known for years. After the traditional ceremony in the morning typical practised in Singapore, we were searching for places to do some photo shoots. We ended up in a small cathedral in town. I let the official photographer do most of the job and I am there to do a bit of the individual shots. Here’s one that I have done and loved so far. I used my beloved 70-200 f2.8L IS USM on my 5D II. I somehow preferred to do landscape shots on portraiture on few occasions as I see the need of it and that would also make the shot more special. I would be very glad to share this shot here. Cheers to Sunny and Yu Li!